Are you guilty of feeding the scope monster? One of the biggest causes of BPI (business improvement improvement) project failure is scope creep. Every business analyst and project manager out there will tell you this. It is so incredibly tempting to think, well we might as well do this at the same time…what’s the harm? This gives you and your team a quick idea of where you should focus on streamlining. There is absolutely no point in spending hours process mapping where it isn’t needed. This should take no more than a couple of hours to do MAX. Use this to define exactly what the scope of your process improvement project is. A project scope defines the understanding of what exactly this project is supposed to cover and most importantly – its limits! Make sure that you are specific in your project scope. 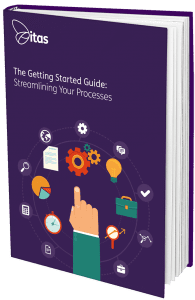 “Reviewing our sales process” isn’t exactly specific and you can imagine the different processes that could be combined under this single heading. Even some finance processes could be expanded into this! After doing your scope, it must be signed off by the project team involved. This should reduce any change requests later on in the project, they can’t say they haven’t been informed! What other tips do you have for resisting scope creep? We would love to hear your thoughts? Please comment below with your hints and tips on scope creep! Home » Sage Blog » All Sage Blog Posts » Warning: Do not feed the scope monster!